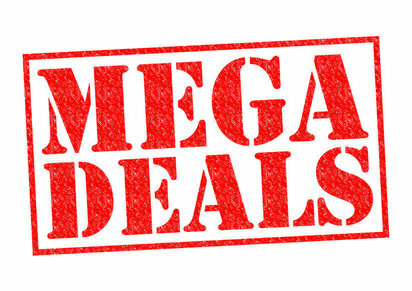 With the extensive service range, Mega Cleaning offers you a variety of combinations you can make for your cleaning needs and benefit from our mega-deals. Save time and money and book more than one service while our team is on your property. One off or After builder cleaning together with Carpet or Upholstery cleaning or End of tenancy cleaning combined with Carpet or Upholstery Cleaning will definitely complete your cleaning project. Furthermore, will give your property or commercial site a finalised appearance. With our flexible and affordable cleaning deals, you will find all you need in one place. No compelling reason to look somewhere else, you can discover all that you require with the Mega Cleaning company. We know how and we can do it for you in London and Outside M25. >>> Take 40% off of the Carpet or Upholstery cleaning price when booking your End of tenancy cleaning service. In addition to your End of tenancy cleaning, you can add carpets and upholstery cleaning while our team is already at your place. As a result, your property will look even better and will ensure getting your deposit back. >>> Get 10% off from the final price when booking Carpet or Upholstery Cleaning for over £100. Carpets and upholstery might be one of the biggest investment in your household. Most of all you need to treat them with care and precision to prolong their lifespan. In addition, you will have a dust free and sanitised environment. >>> Receive 10% off from your next booking if you recommend us to a friend. You think we did great the last time you have used our service? You can now share your opinion with your family, neighbour, and friend and if they decide to use our services, you will get 10% off on your next booking. Isn’t this awesome? For any additional information, Mega Cleaning team will be happy to answer and help you further – call us on 020 3637 7737 or send us an e-mail or an online inquiry. Book your preferable service today and save time and money. Mega Cleaning professionals are ready to perform high-quality services in London and Outside M25 at a convenient for you time and date.